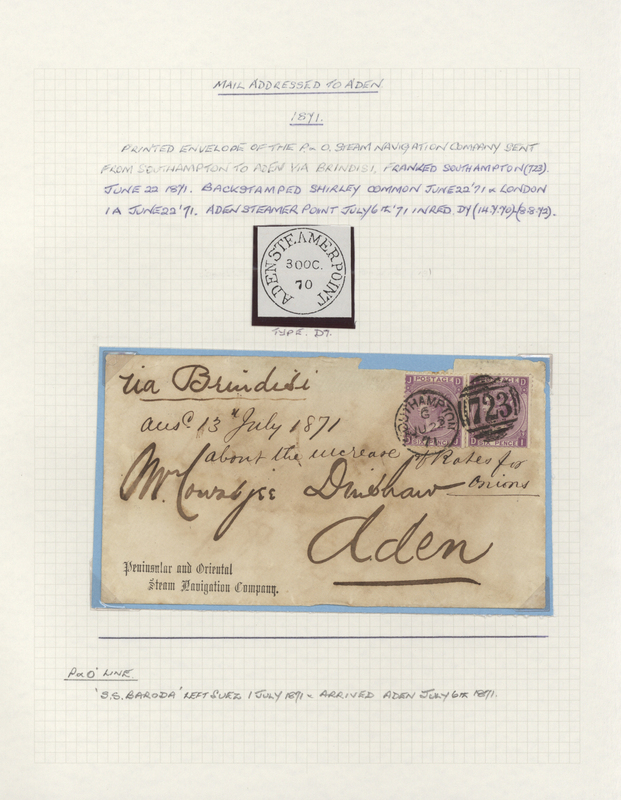 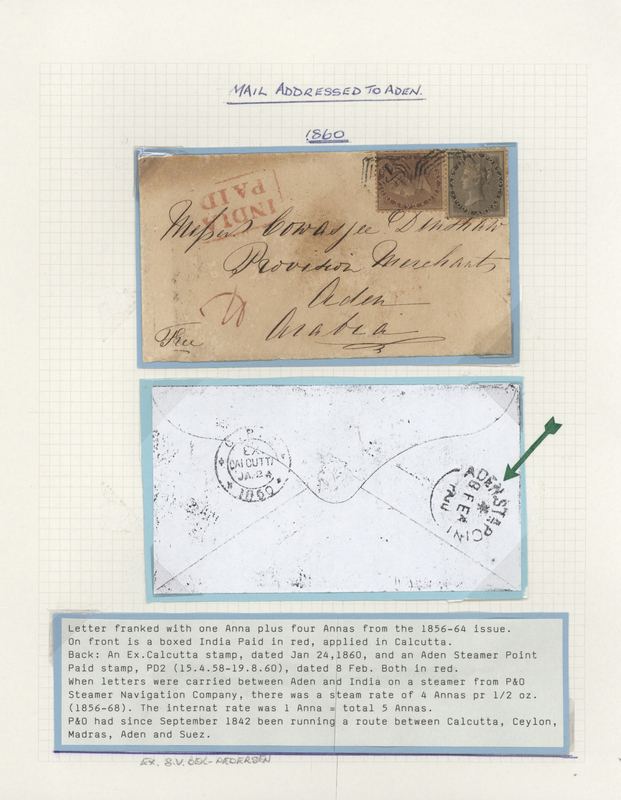 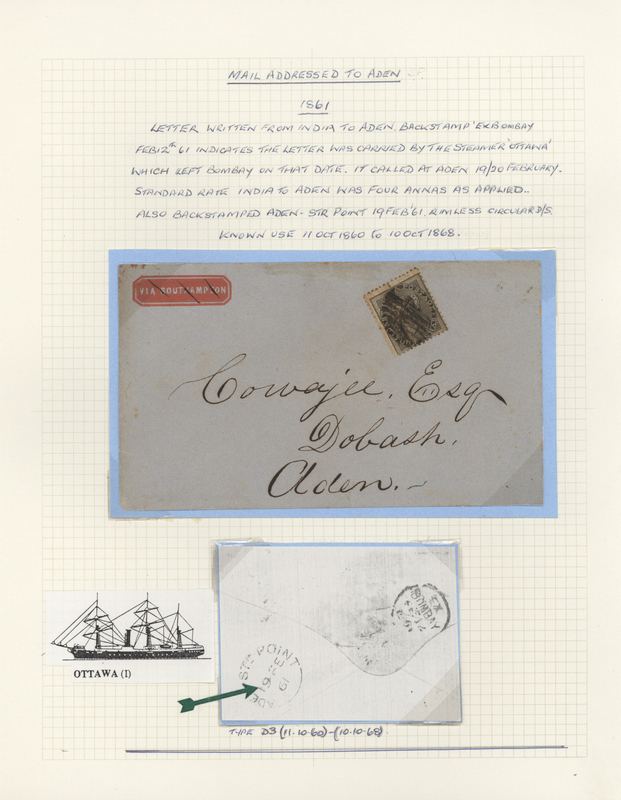 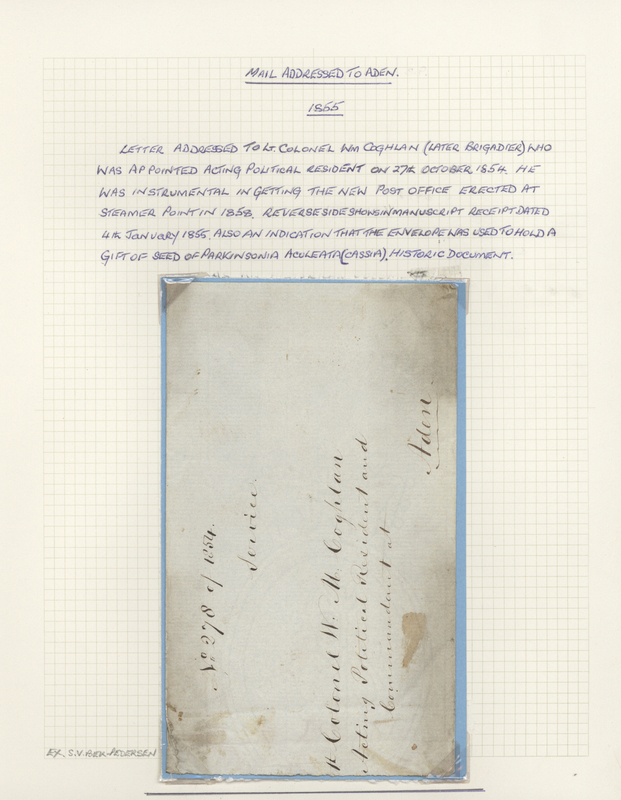 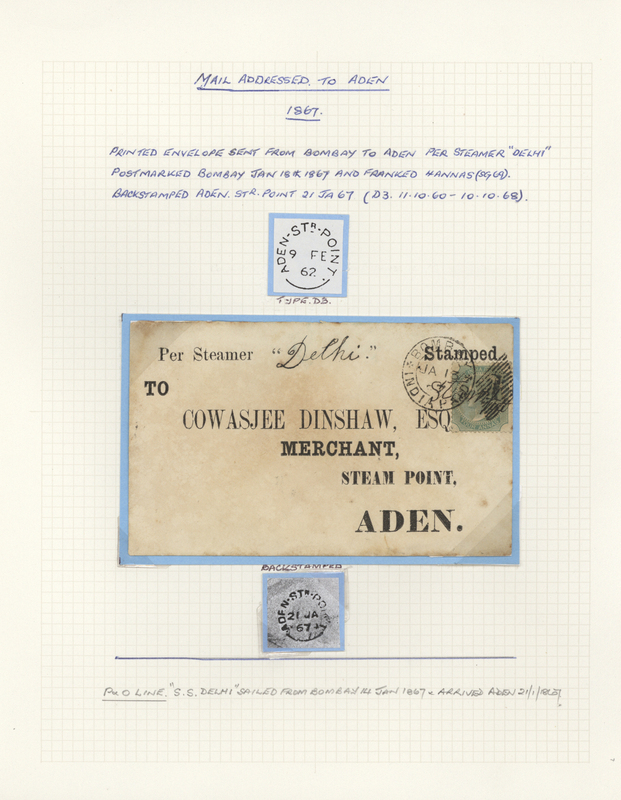 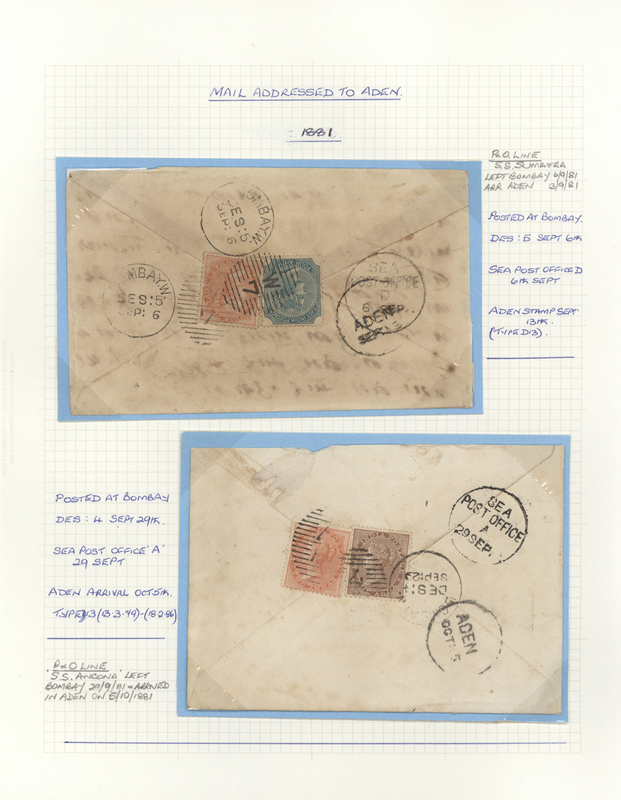 1855-1887 ADEN INCOMING MAIL: Collection of 33 covers, one postal stationery card and few documents sent to Aden, starting with an 1855 letter addressed to Lt. 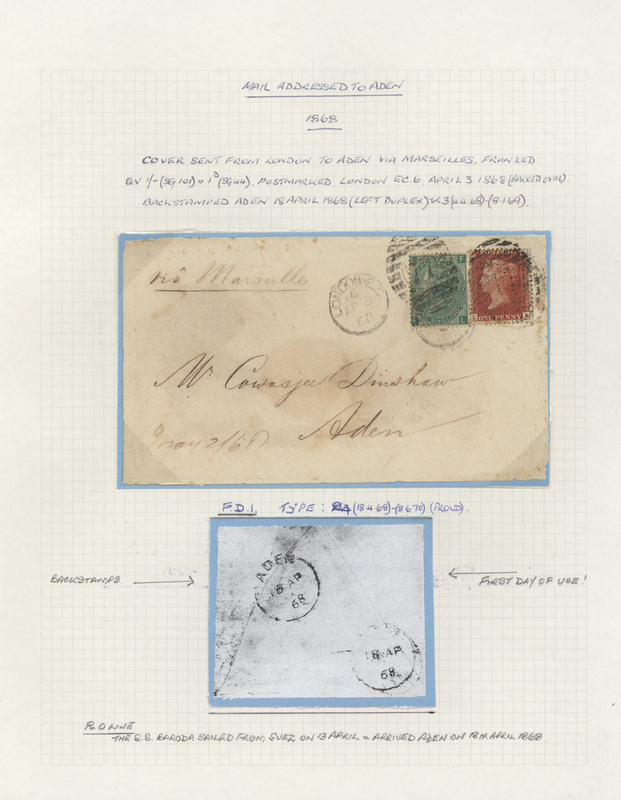 Colonel W.M. 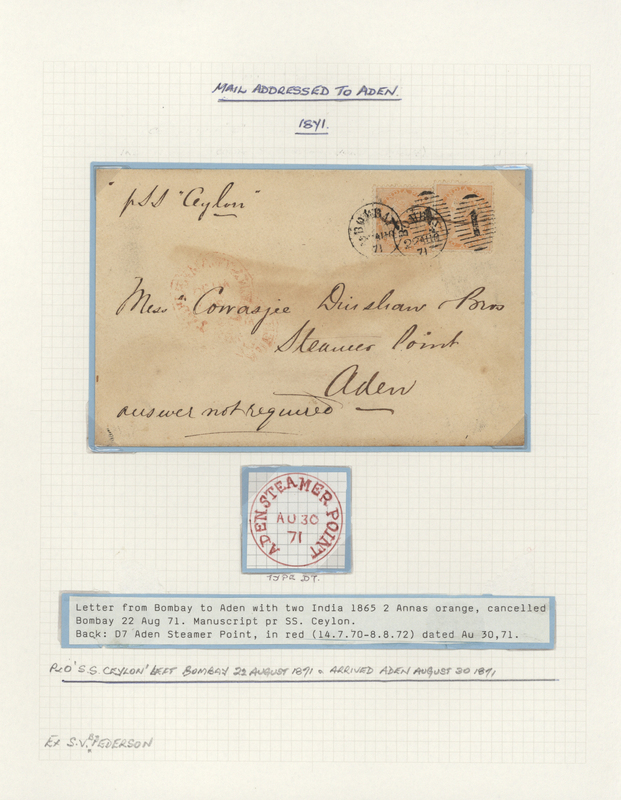 Coghlan who was appointed acting political resident and was instrumental in getting the new Steamer Point P.O., followed by franked covers from India and GB including good frankings (various rates), redirected mail etc., and with a good range of Aden postmarks.